2017 was a landmark year for integration and automation and showed us a lot about the Future of Work. 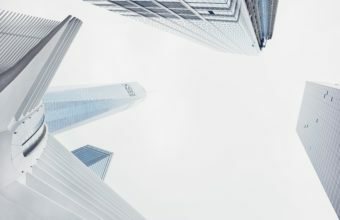 By the end of the year, two-thirds of Global 2000 companies had placed digital transformation at the heart of their corporate strategies, according to IDC. And with the average large company using 1300 applications, intelligent automation is key to them achieving their digital transformation goals. As the new leader in integration, Workato is a cutting-edge platform—and our customers are trendsetters, too. Let’s take a deep dive into our usage statistics to see which trends shaped work in 2017. One of our key commitments here at Workato is making automation accessible to everyone, regardless of their technical background. And our user adoption rates demonstrate that it’s paying off. In 2017, Workato’s enterprise customer base grew by 10x. Traditionally, enterprise integration projects and platforms are used solely by specialists. But 52% of users building integrations with Workato were business users; the remaining 48% were technical users. A healthy split! Our integrations are called recipes, because they’re written in everyday English and follow an intuitive logic. Over the course of 2017, our users created 148,678 new recipes—which shows that organizations are committing to intelligent automation en masse. We’d also like to raise a glass to the 28% of Workato users who didn’t need any help to build and run recipes successfully – Cheers! Workato users are some of the most on-trend employees out there, and their adoption of best-of-breed apps proves it. Across our almost 150k users, seven of the ten most popular apps are SaaS apps. Of the remaining three, two—Github and Workbot for Slack—are productivity-boosting collaboration tools. Github allows developers to draw from previous projects and designs; in fact, we based the idea of our Community Recipe repository on it! 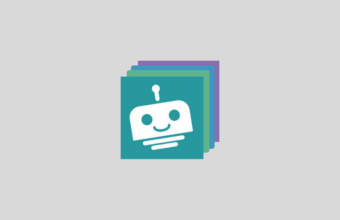 Workbot helps users do work directly from chat apps like Slack by allowing them to initiate Workato recipes. Finally, our HTTP connector allows you to communicate with any cloud-based app’s API so you can build whatever custom triggers or actions you need. The coolest thing about best-of-breed apps is that each has its own strengths. With integration, you can choose the best app for each team or department—without worrying about data silos or workflows that cut across those apps. Here are the most popular apps and databases of 2017 by department. In 2017, we added 28 standard connectors and 112 custom connectors, for a grand total of 140 new connectors. That means there are 140 new ways to connect to your favorite apps and databases. The most heavily-used new connector in 2017 was Microsoft Teams. Here’s a list of all the heavy hitters.